Across Major League Baseball pitchers and catchers are reporting to Spring Training. It’s the symbolic start of a new season, where hope and optimism abounds. It’s even a sign that spring is just around the corner where a new season and new beginnings await. But in the 2019 offseason, even as pitchers and catchers report to Arizona and Florida, it’s hard to find things to be optimistic about when looking at baseball as a whole. The sport’s biggest free agents remain unsigned, its biggest future star has chosen football, and talk of chasing pennants is being replaced by blame games and collusion charges. Baseball has been through a lot over the years, but it’s hard to think of a time where there has been more of a malaise over the sport than there is right now. The Hot Stove League is about as useful and exciting as a wet match in a dark cave. 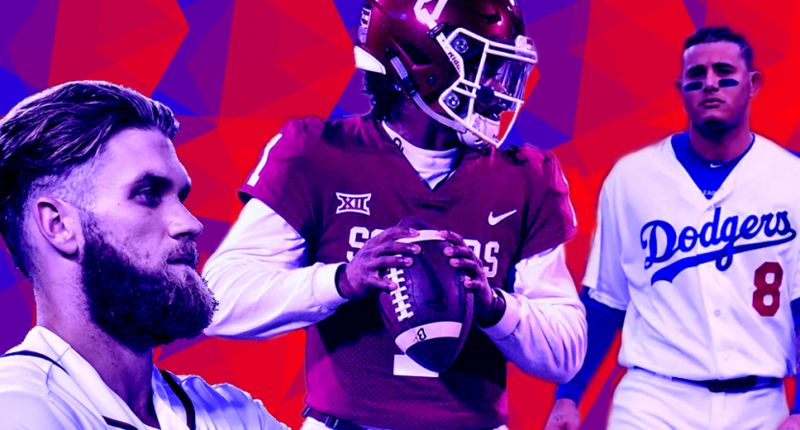 Baseball was dealt a serious blow on Monday when Heisman Trophy winner Kyler Murray declared his intentions to dedicate himself to pursuing a football career and entering the NFL Draft. The former Oklahoma quarterback was a first-round draft pick of the Oakland Athletics, and despite MLB’s best efforts to present a fast track to the big leagues, Murray ultimately chose to leave baseball behind. Could Murray one day return to baseball if it doesn’t work out in the NFL? It’s possible. But it’s hard to quantify just how much of a gut-punch this is for the sport. If Murray were to make the A’s opening day roster, he would immediately become the most recognizable and marketable star in the sport. Don’t believe it? We just spent part of last season debating why and how MLB’s best player, Mike Trout, was only as well-known as NBA journeymen player Kenneth Faried. Commissioner Rob Manfred did all but openly blame Trout for his lack of crossover appeal and what unfolded was a mini-controversy that centered on why the game’s best player was so relatively anonymous to the masses. That’s not exactly a healthy place to be. Now without Murray baseball is stuck in the same rut where they find it so hard to foster the growth of star players that general sports fans can value and appreciate. But honestly, how can casual baseball fans value and appreciate the biggest stars in the game when the league and its teams can’t even be bothered to do so? We sit here on February 11th and baseball’s two biggest free agents – Bryce Harper and Manny Machado – still don’t have a team for the 2019 season. It’s now getting to the point of the ridiculous and absurd. Compare MLB free agency to the NFL or NBA. When free agency opens in those two sports, it is an event. Players are signed and deals are struck within the first minutes and hours of free agency and there is an immediate sense of excitement and drama. One of the biggest stories in sports currently is NBA free agency this summer and what might happen to the likes of Kevin Durant and Kyrie Irving and many others. That’s months away and fans can’t get enough of the rumor mill and the drama and intrigue surrounding it. Anthony Davis isn’t a free agent for another year and a half and that’s another huge story in sports. The NFL and the NBA have found a way to make their sports truly year round with all of the offseason activity that happens. Baseball is seemingly heading in the opposite direction. Could you ever envision a scenario where Durant went unsigned until August or September? Could you imagine a top NFL free agent sitting around waiting for training camp to open in the summer to have a hint of a new deal? It’s ludicrous. And yet, that’s exactly what is happening in Major League Baseball, where its best players are treated as some kind of contagion that franchises can’t get near. Last week there were reports that Harper might be close to signing with the San Francisco Giants (who are currently the odds on favorites to eventually sign him). Those reports were quickly splashed with cold water by sources who couldn’t wait to dampen any kind of enthusiasm. Even GARTH BROOKS MADE IT TO SPRING TRAINING BEFORE BRYCE HARPER. Garth Brooks is in camp with the #Pirates this week. He took BP with them in 1996 in Philly. When asked about Harper and Machado remaining unsigned, Manfred literally said, “Our goal in Major League Baseball is to get all of our players signed, particularly our star players and have them in camp when we’re ready to go.” No kidding! Who would have thought that it’d be good for baseball to actually have its star players… playing. What could be even worse is that this is just the beginning. Salaries are going down across the sport and two very bad words are being openly floated around – “collusion” and “strike.” If it’s not collusion between the clubs keeping the likes of Harper and Machado unsigned, then what could it possibly be? And if a players’ strike isn’t going to wake up the powers that be and change things, then what could it possibly be? It’s not just Harper and Machado – 13 of CBS’s Top 50 MLB free agents are currently without a club. The system is completely broken and shows no signs of being fixed anytime soon. And the longer it stays broken like this, the more baseball risks driving players and fans further and further away.